Thanks For Reading Selective Attention In 2018! Wow, I’ve stuck with the blog this year and it feels great! Thanks for reading what I have been randomly writing. If you’re enjoying Selective Attention I have a major ask! If you like what you’re reading or just want to help hype me out of the kindness of your heart ;) and could help share this digital publication with your network on social that would be amazing. 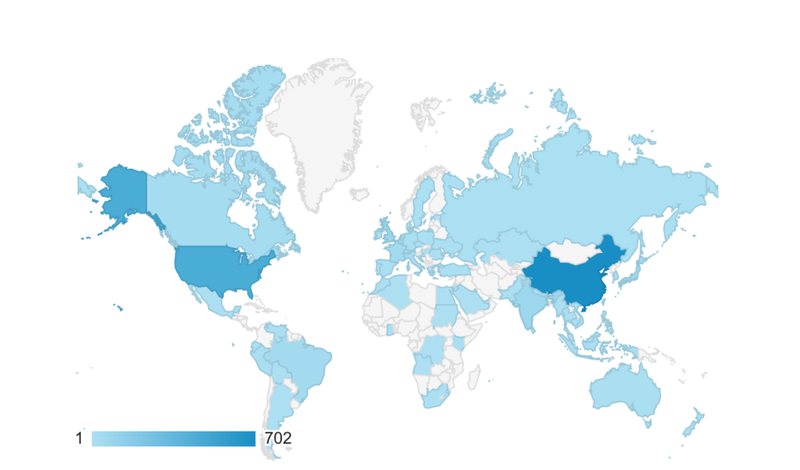 So far it’s been really cool to see which geographies I’ve reached on Google Analytics. Who knew a girl from suburban Michigan would be doing this? Over the last year I've reached more than 1,600 readers - who are you?? Leave me some comments. Super curious how you found me. Also interesting to see the demographic breakdown. For a while the readership leaned towards male. Guess I have mannish interests. Ha. Next year it would be great to grow the readership by x10. If you have anything you’d like to read about please leave me a line! I usually try to crowd source inspiration because writing is basically like having a long conversation with yourself, which can be fun but sort of lonely if you do it for your day job, freelance work and also in your free time too. Jeez, no wonder I can’t stop myself from being way too friendly lately and asking everyone what’s the goss(ip)?!? Thanks for enjoying all this wonderful awkwardness.